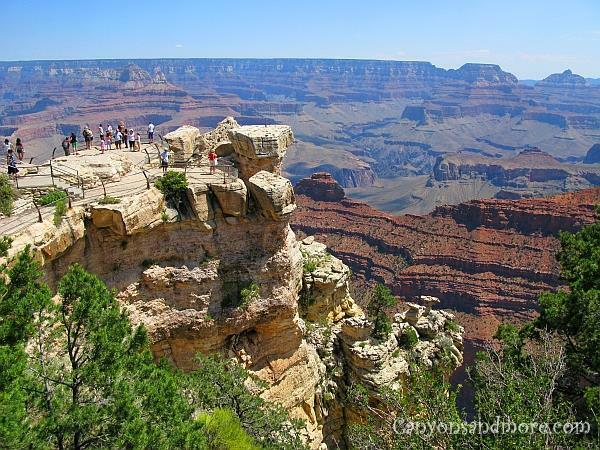 The Grand Canyon is probably the world’s most fascinating natural wonder. The landscape is so overwhelming and each step along the trail brings new impressions. As a visitor, you will experiences a new feeling of dimension. No picture or film can capture that feeling. Standing at the canyons gives you such a humble feeling as you see the magnificent landscape. In the image above you see the south rim. To see the it, follow the road that leads to Mather Point. 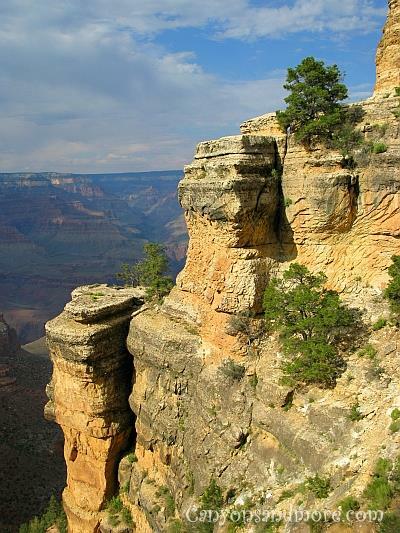 According to the park map, Mather Point is 2,170 meters or 7,120 feet high. This is a good place to start. There are plenty of parking spaces available and also facilities. 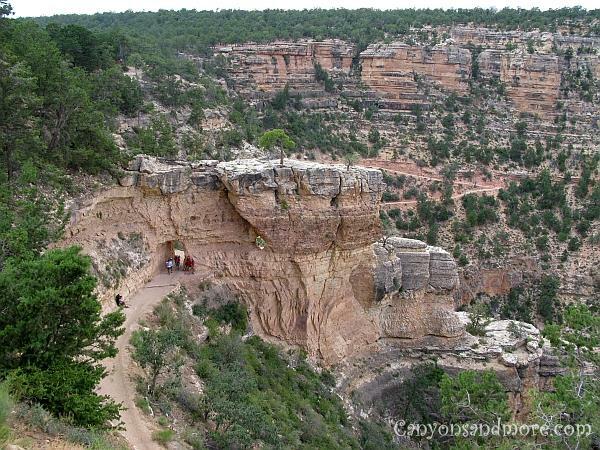 Then walk along the trail provided towards the canyons, and soon enough you will see the canyons. If you are lucky, you will witness condors flying above to give the whole experience a majestic feeling to it. Flagstaff is close to the meteor crater, the legendary Route 66 and the Grand Canyon. It is also a middle sized city with historical town center. Sounds of trains in the background gave it a special old time flair, as well. The climate in Flagstaff, even in the summer was mild and comfortable. 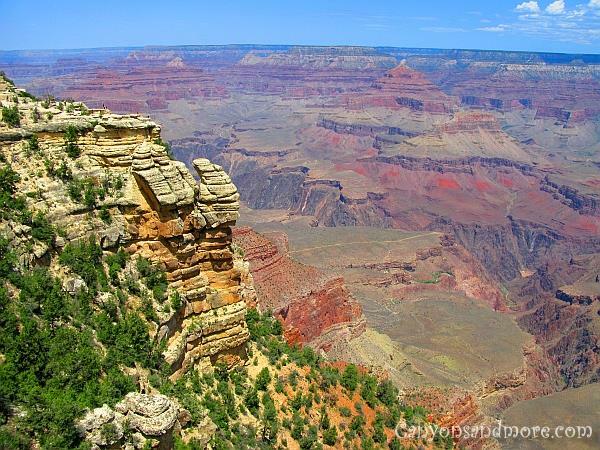 The South Rim of the Grand Canyon is about 88 miles away or a 90 minute drive from Flagstaff. You can drive along along Interstate 40 a while until you reached the Williams exit. From there continue along the Highway 64 and follow the signs leading to the canyon. 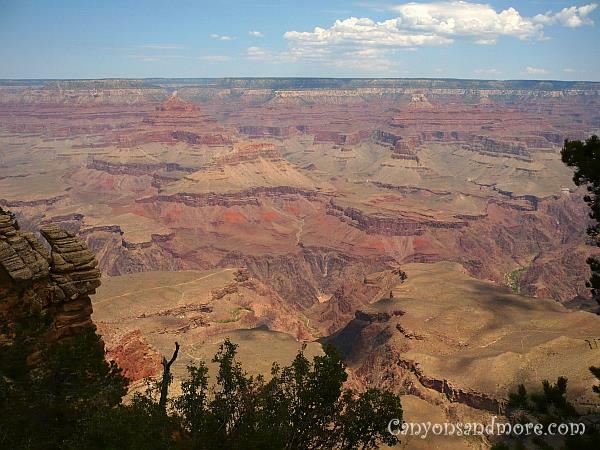 During the whole trip, you do not have a feeling that you are driving to see the Grand Canyon. Instead of a rocky or desert landscape, it is a surprise to see that Arizona is so green... and that in the month of August. Slowly the sign directing you to the Grand Canyon will appear. 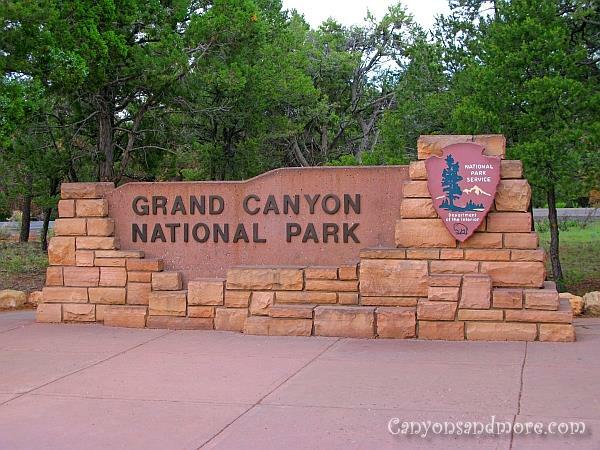 To access the Canyons, you have to pay a national park fee of 25 dollars (as of August 2008) and this fee allows you a 7 day access to the park if in a private vehicle. You will arrive at the South Entrance Road, pay your fare and then drive into the park. Signs direct you to your destination. 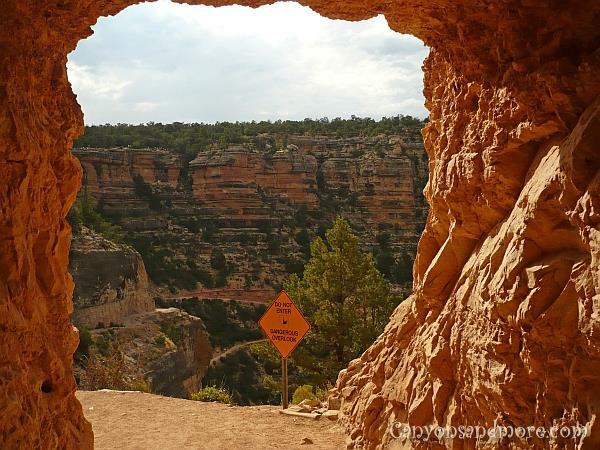 The vastness of the landscape and the colors of the canyons will take your breath away. 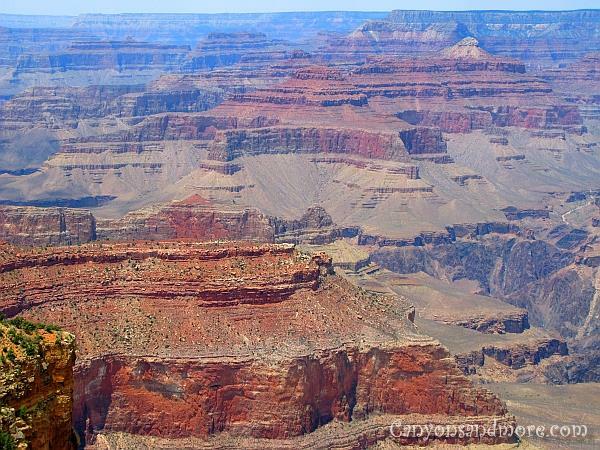 These are such awe-inspiring views of the Grand Canyon. One simply feels so small compared to the vastness of the area. There are plenty of points or platforms for tourists to take photos. It is like every new bend offers a totally new landscape. Most areas are secured by fences but occasionally there are areas that are less secure but many cannot resist reaching these areas. Some brave tourists risk going to dangerous points to get the most ultimate pictures. There are so many different rock formations and the layers of colors are gorgeous. You do not realise the altitude until you are at the canyon itself. Mother Nature painted a lovely canvas of reds and browns on this landscape and one feels so small and unimportant when seeing the Grand Canyon for the first time. It is really indescribable. It is like visitors can get a peek into the inside of this planet and discover its secrets that have been well kept for millions of years. Continue walking and the view just kept getting better and better. The canyon walls are around 1 mile or 1.6 km deep. There are trails at a later point that one can follow to enter the canyon. You can either continue or you can consider heading back to your car and driving towards the Bright Angel Trailhead. You can proceed along the Desert View Drive and follow the signs to that destination. There are parking spaces along the railroad tracks. A “Mule Crossing” sign can be seen. Tourists can actually take tours along the canyon riding on the backs of mules. These tours are only offered in the morning hours and should be reserved weeks or even months in advance. While walking you will find great points to stop and absorb the view. At one area, there is sort of a entryway cut into the rock which gives you the feeling you are entering another world. At any given point, the landscape is breathtaking. Every bend seems to be a new reason to take more pictures. The evening sun also adds a hue of red along the canyon walls and throws deep shadows which adds to the intensity of canyon colors. During the day, it seems mild while walking along the trail. The deeper you go into the canyon, the higher the temperature rises. There comes a point when it obviously starts to descend. This trail leads deep into the canyon towards the Colorado River, which can be seen at the end. It seems closer than it actually is. There is a sign shortly after the arched opening warning tourists not to enter the trail that went off to the right of the arch. The trail looks tempting to approach as it seems to be a good spot to take pictures, but unsafe at the same time because it is uneven and there are no hand rails. 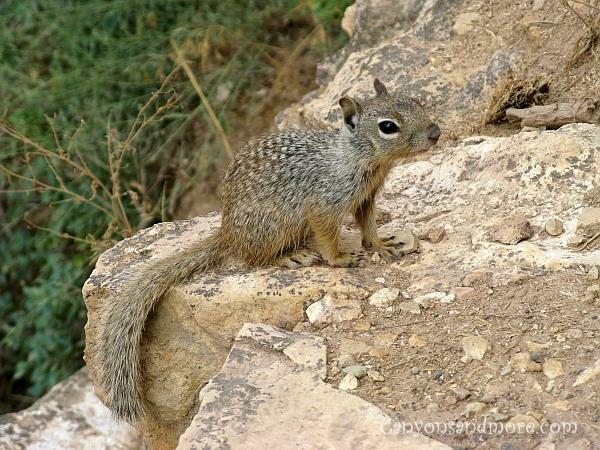 During the walk, you will most likely hear sounds coming out of the brush and notice adorable and curious squirrels. It seems unusual to find so many squirrels at such a location as it is very dried out. But they seemed to survive well in such conditions. The vegetation is fascinating as well as the animals such as the squirrels and the lizards that were scampering all around. This area fascinates everyone. Not only is this area lovely to see, but dangerous at the same time. Many have died trying to reach the Colorado River from this point. The trail goes on for miles and only the strong can survive it. Signs warning the tourists not to exceed their limits are posted at the beginning of the trail. Many underestimate themselves when attempting to reach the bottom of the trail, as it is not possible to make it all in one day. It takes double the amount of time to walk back than down to the river. A night’s rest should be planned during this journey to be on the safe side and plenty of food and especially water should be taken as the heat of the canyon can be unbearable. 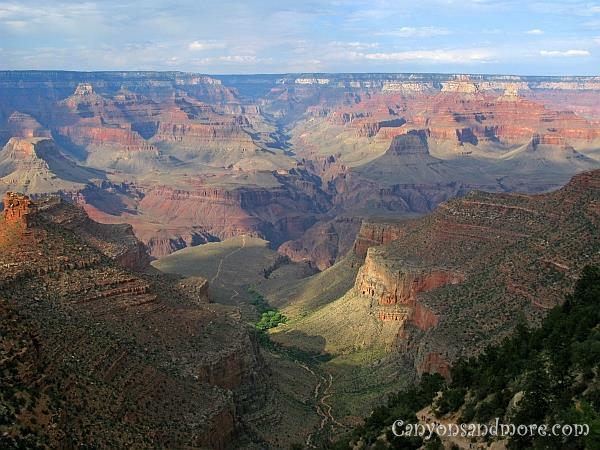 This is another gorgeous view from the South Rim down over the canyon landscape. A little bit of the Colorado River can be seen in the middle of the image.